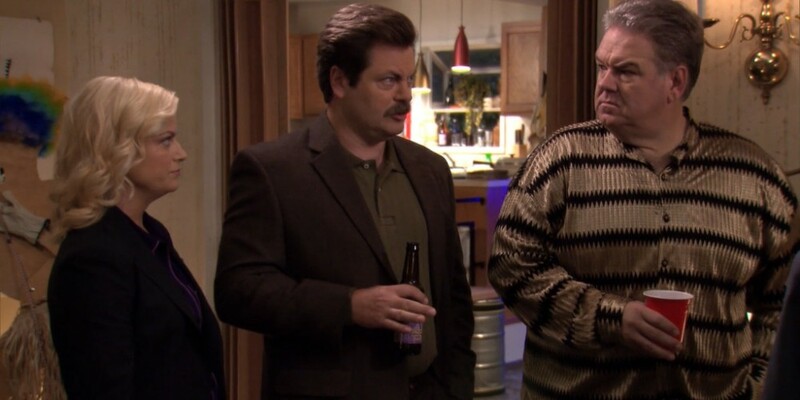 Ron Swanson is not too pleased with Chris’ contribution to the party. Parks & Recreation Funko Pop! Parks and Recreation is a trademark of NBC, making all Ron Ulysses Swanson related materials their property. Hopefully their bureaucratic suits realize we live in free America, and this site is simply a tribute to a great American, whether fictional or not. That portrait was created by Sam Spratt, an amazingly talented artist. He was kind enough to allow our site to use it. You can view his portfolio here, and also buy various prints in his online store.